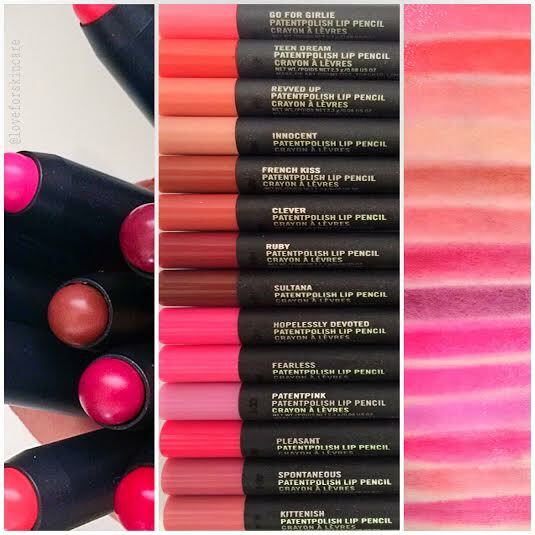 Swatches of Patentpolish Lip Pencil Collection. Surprisingly pigmented for a lip crayon/balm in 14 lovely buildable shades. Lightweight and easy to apply, they are now new additions into my makeup bag. I’m a fan of Go for Girlie at the moment!